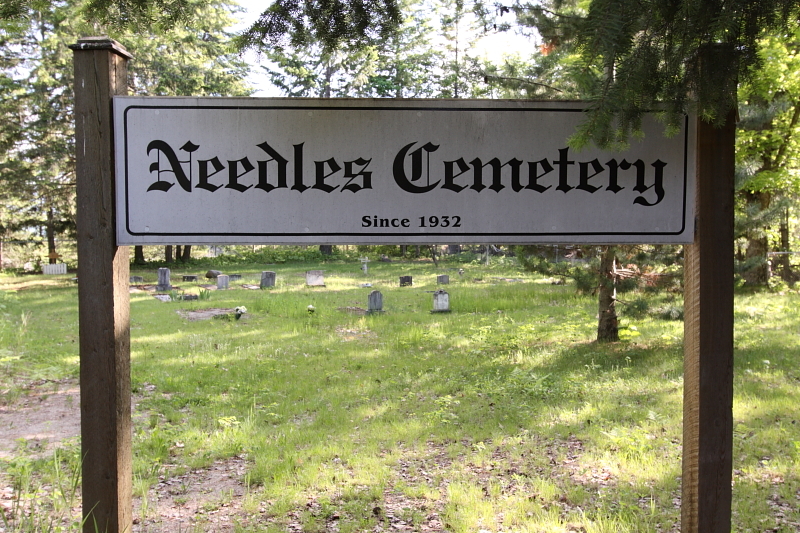 The following is a transcription of the Needles Cemetery located in Needles Ferry, British Columbia. , Canada. 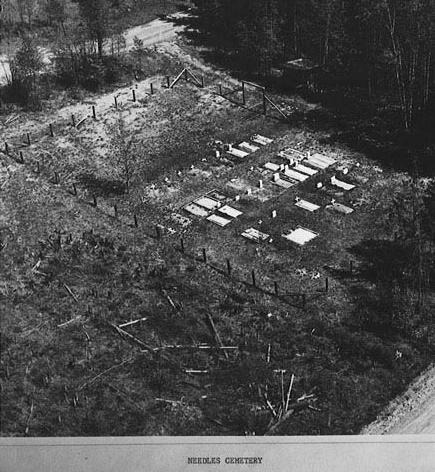 This cemetery was established in 1932. 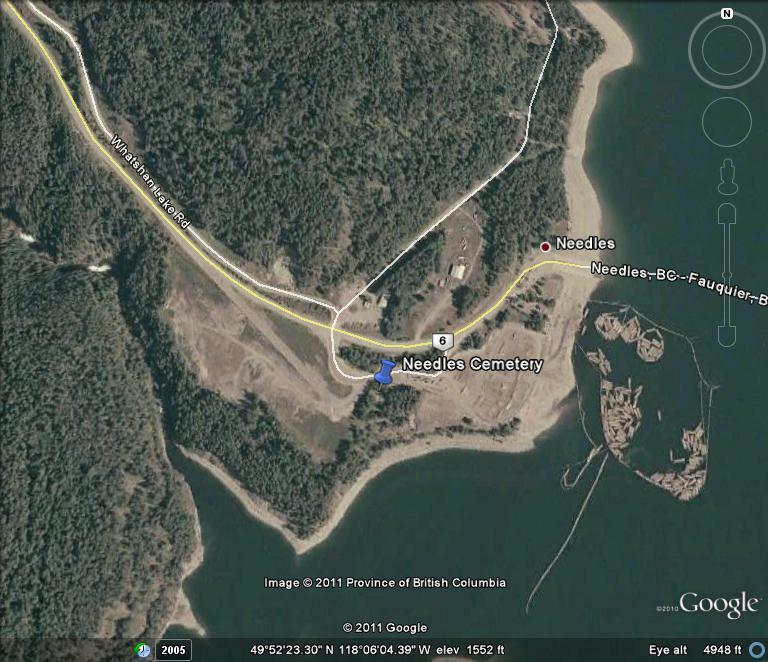 It is located at the site of the former town of Needles on the Arrow Lakes. The flooding of the Arrow Reservoir in the 1960's inundated most of the townsite and all that remains is the ferry landing. The cemetery was above flood level and there are still occasional interments there, usually family members of those already there. 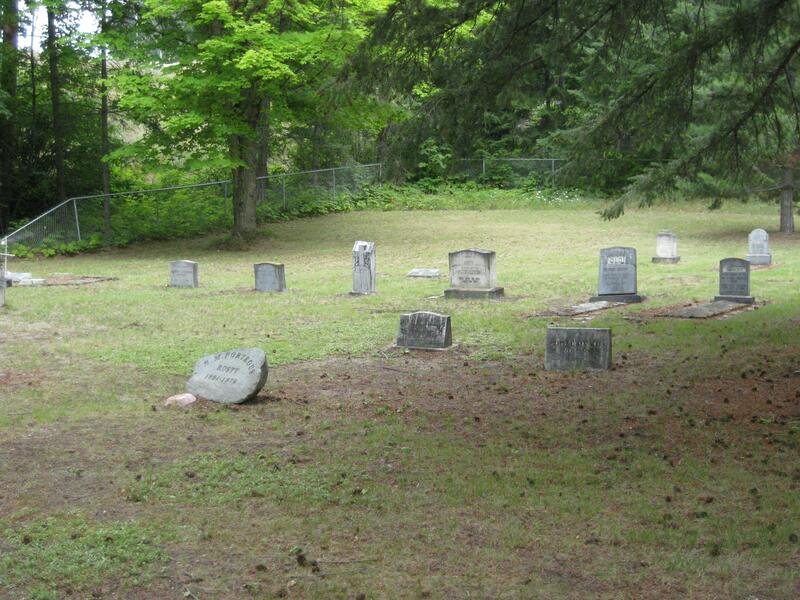 The cemetery is surrounded by trees and offers a peaceful setting near the Arrow Lakes. Approaching from the west on Highway 6 from Vernon descend down to the lake and the ferry landing. Just before the final turn to the landing (about 400 meters from the landing) a dirt road turns off to the right leading to a log dumping and booming area. This road turns towards the lake about and approximately 150 meters the cemetery can be seen in a hollow to the right. Coming from the east on Highway 6 from Nakusp, first cross the ferry and then turn left approximately 400 meters from the landing and follow the dirt road 150 meters.